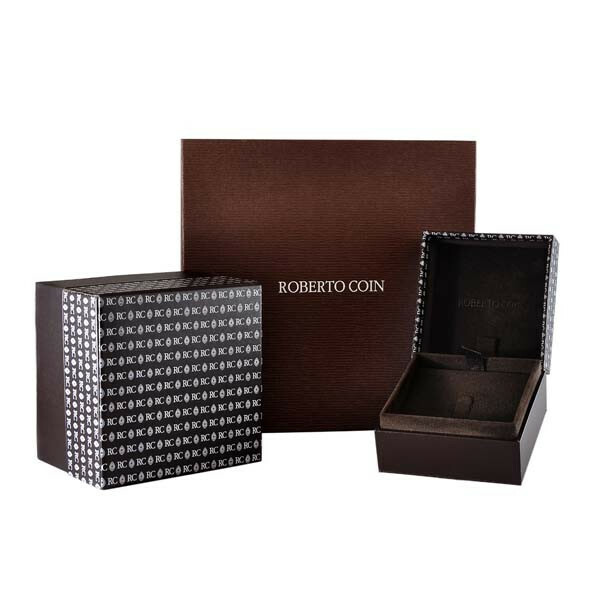 When you need to go a little sporty, count on the Roberto Coin Tiny Treasures collection. 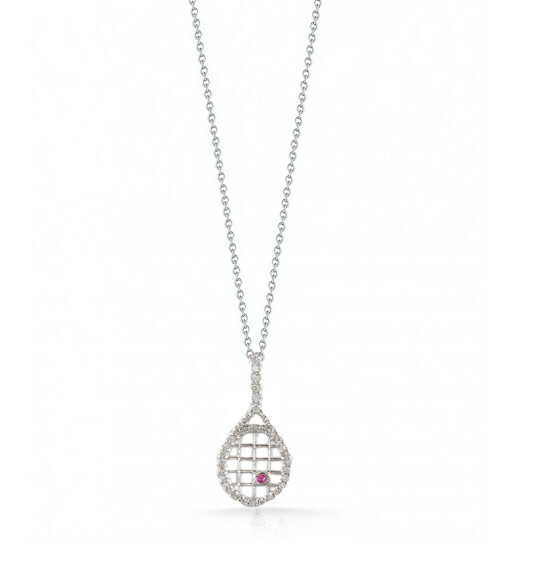 This 18kt white gold this little tennis racquet encrusted with diamonds and a little red gemstone for a tennis ball, floats perfectly on an adjustable chain. The tennis pro in your life will be delighted with this Roberto Coin racquet!